Brett's trademark melodic style helped propel hits such as "Run to Paradise", "Boys Will Be Boys" and "Struggletown" to the top of Australian charts. 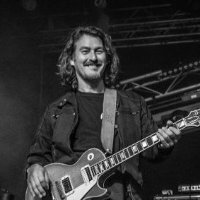 We talk through Brett's career; starting in Brisbane, his year in LA as a student at GIT, moving to Sydney to join the Choirboys, making iconic video clips in the 80s, vintage Les Pauls and much more. Thanks to Jay Parrino (Guitar Speak Podcast Episode 20) who set up this interview. Jay also makes a cameo to talk about an upcoming run of shows with Brett.